Computer translation was always technically referred to as "Machine Translation". Even today you will find many people refer to translating with a computer as this term. 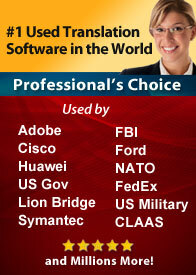 The more modern term used by non industry professionals is usually "translation Softqare". Although with the global reach of the internet, this term is often still called the former. What is Machine Translation: Machine Translation (MT) also known as Translation Software is a machine that allows you to translate text from a language to another. When translating from the source language to the target language, the machine takes into consideration the grammatical structure of each of the two languages and uses linguistic rules to translate it properly. However, MT is not 100% accurate, which means you would still need a human translator to proofread your documents if you need the highest level of accuracy. The main purpose is to save time, increase productivity and cut costs. During 1974 and 1975, NASA used Systran software for the infamous US-USSR Apollo-Soyouz space project. This allows Dr. Toma to present a prototype of the English to French MT to the representatives of the CEC (Commission of the European Communities). Not long after, CEC contracted Systran to develop its MT technology for several European language pairs. In 1992, this powerful MT software was available to every PC user. In 1996, Systran was contracted by the US National Air Intelligence Center to develop its machine translation for various Eastern European language pairs. This is when the first-ever Serbo-Croatian to English MT software was developed. 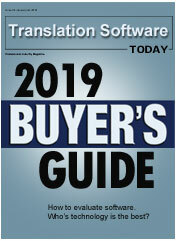 In the same year, SEIKO Instruments, Inc. contracted Systran to provide its software and linguistic data for their product translation needs. Recently, Systran started working with EA (Electronic Arts), Origin Systems, Ultima Online: The Second Age. This was another milestone as it was the first-ever online language conversion technology for online gaming. In 1997, Systran Machine Translation made history. For the first time on the Internet, Systran along with AltaVista's Translation Service - BABELFISH started offering web users a free real-time service that allowed them to translate web pages.